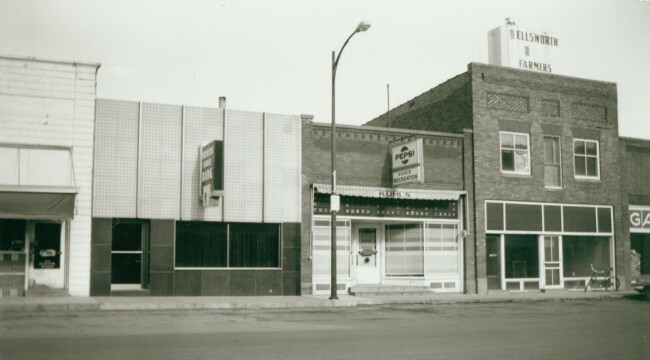 These images show the east side of DeWitt, Ellsworth's Main Street in the 1960s. 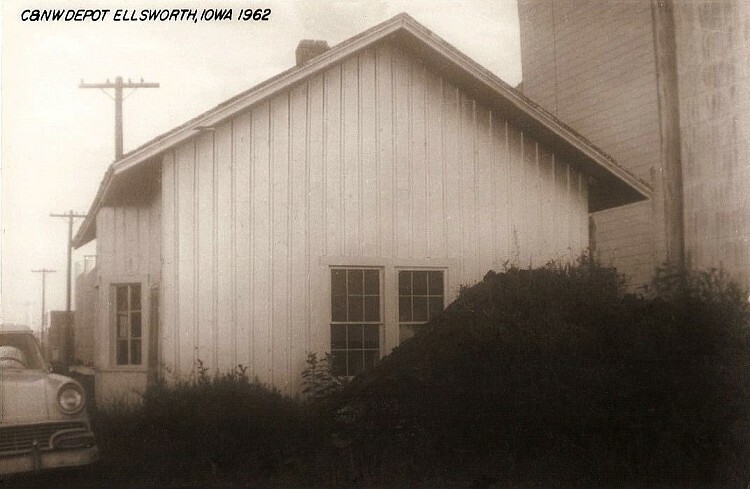 This 1962 non-color image of the Ellsworth Depot doesn't allow the red color to show. Of course, the second story was removed in the early 1950s because the station master and his family no longer lived there. The Ellsworth Farmers Co-op and Grain Elevators are seen on the east side of the southern end of Main Street. 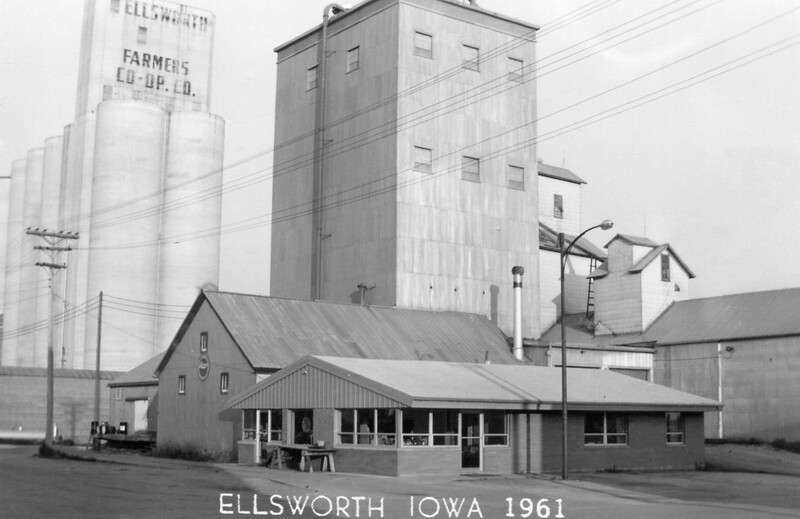 The grain elevators have always been an important part of Ellsworth. Farmers State Bank, the Hardware Store, and the new phone office. Here is another view from the 1960s. 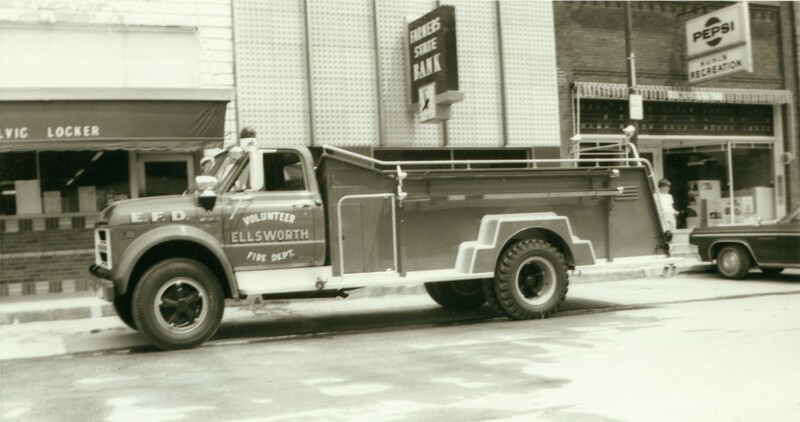 This is a 1965 image showing the east side of Main Street. In June of 1969, the Ellsworth Volunteer Fire Department acquired a new firetruck. This 1966 photo shows another view of the east side of Main Street. 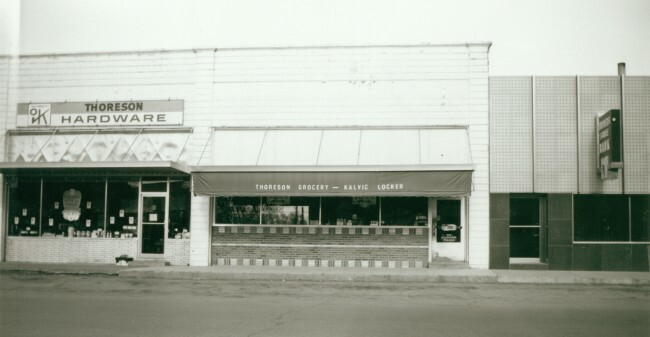 Thoreson's Hardware Store, the Thoreson's Grocery and Kalvic Locker building,and Farmers State Bank are seen. Here you see the former home which held the telephone switchboard. The sign on the front of this phone building (the telephone office) indicates that the switchboard, seen today in the Library's back room, was used here. 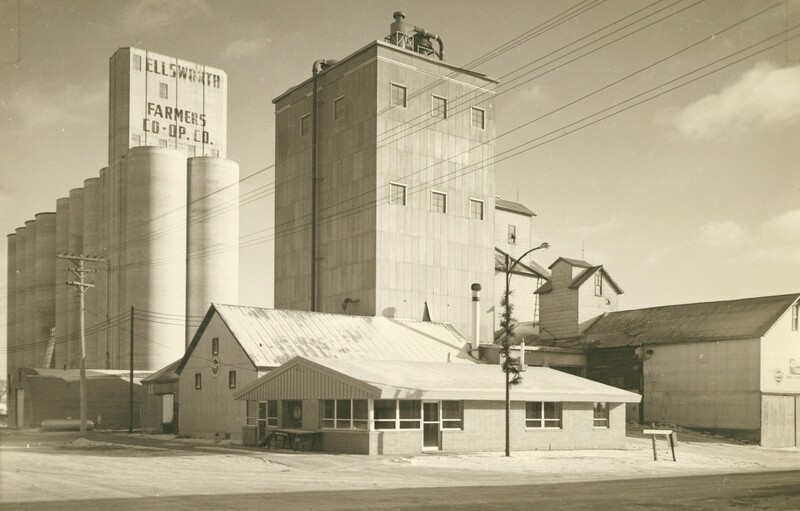 At right, the Turkey Hatchery, and Thoreson's Hardware Store are also seen. The former home was later replaced by the new Ellsworth Cooperative Telephone Association building. 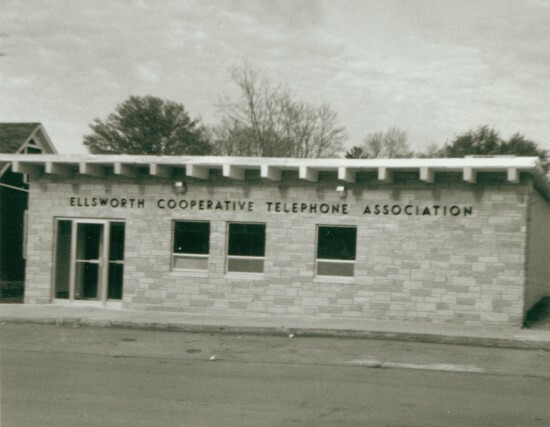 Learn the history of telephone service in Ellsworth. 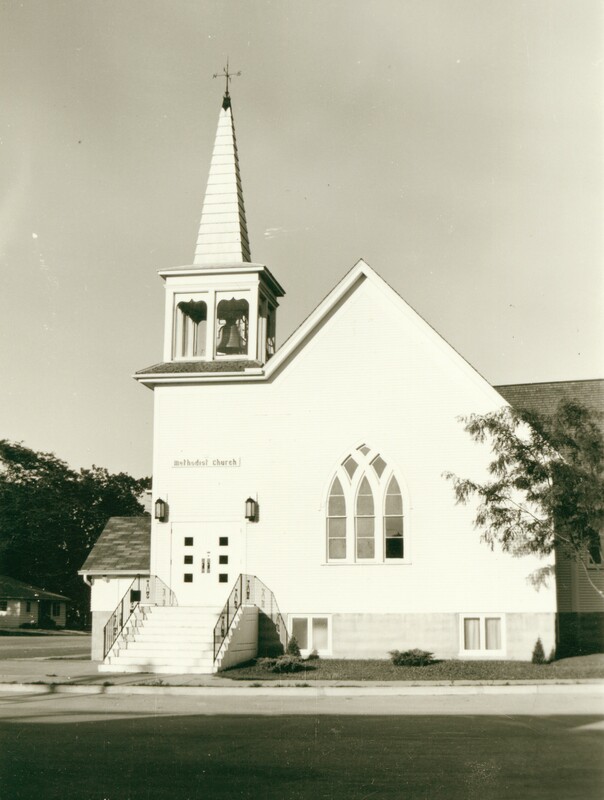 This 1961 image shows the front of the United Methodist Church. This completes the north end of the "Ellsworth Business District."